TimeForge integrates with a number of powerful POS systems, including Restaurant Manager. ASI Restaurant Manager, is a powerful and easy to use Point of Sale system, with dealers all over the globe. 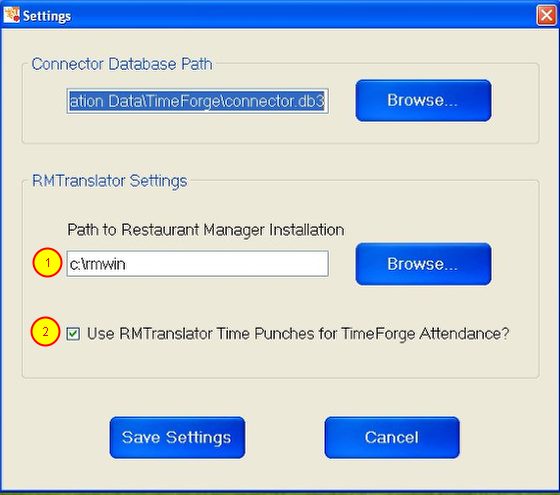 Integration between TimeForge and Restaurant Manager requires installing the TimeForge RM Bridge software on the main Restaurant Manager computer. The integration software will read and write to your Restaurant Manager system where necessary, and can enforce your TimeForge schedules – preventing employees from clocking in before they are scheduled to work. 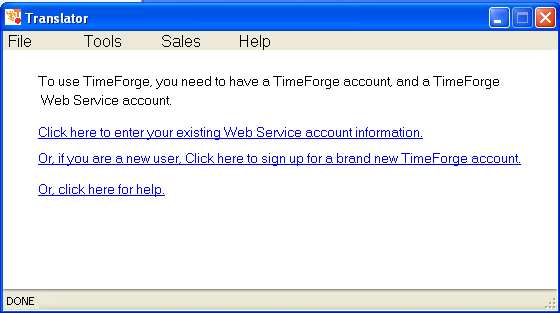 If the TimeForge-Restaurant Manager Bridge was not properly configured to use a Web Service account, you will first need to configure the Web Services. If the TimeForge-Restaurant Manager Bridge has not yet been fully configured, make sure to set up the Web Service Username and Password. 1. Restaurant Manager system location. This is the directory with all of the DBF files, and Restaurant Manager programs, in it. In most cases, the defaults will work for your Restaurant Manager installation. 2. By default, TimeForge uses the time punch (login) values from Restaurant Manager. 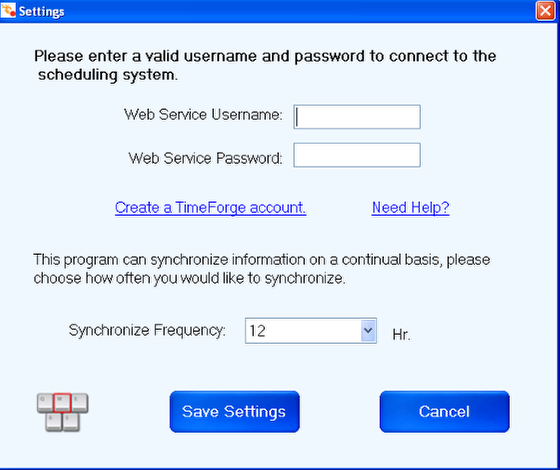 However, if you would like to circumvent the Restaurant Manager time punches, and would prefer to use the TimeForge Attendance system, then please un-check this option. Review the TimeForge-Restaurant Manager Bridge dashboard. 1. 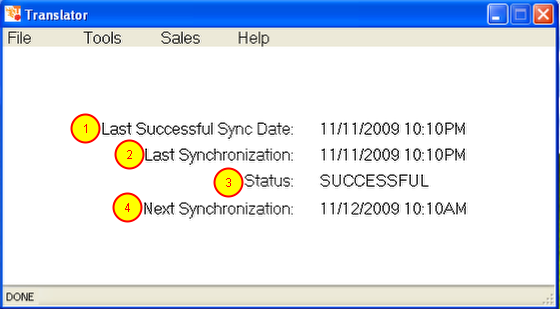 The Last Successful Sync Date shows the last date and time that the software was able to read from your RM database. 2. The Last Synchronization shows the last date and time that a synchronization was attempted. 3. The Status shows the status of the last synchronization (it will either be SUCCESSFUL or FAILED). 4. The Next Synchronization shows the date and time of the next scheduled synchronization. You are all done. TimeForge will synchronize your data based on the needs of your restaurant, and will keep the data in TimeForge and in Restaurant Manager POS communicating properly.